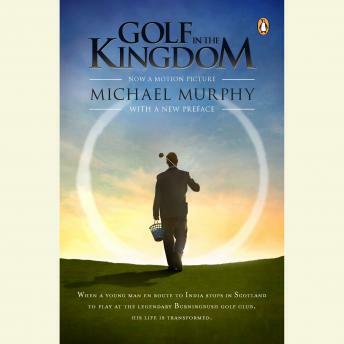 The perennially bestselling golf title, Golf in the Kingdom, hailed by the San Francisco Chronicle as the "masterpiece on the mysticism of golf," is a wonderfully told romp through the Scottish links, the most beautiful and challenging golf courses in the world where, truly, anything is possible. This audio discusses the essential deep truths about the game of golf and also expands on some new and extremely unique approaches to golf instruction. John Hannah, an accomplished stage actor, has appeared on television and in the films Madagascar Skin, The Final Cut and Four Weddings and a Funeral. He has performed the audio production of Michael Murphy's The Kingdom of Shivas Irons, also available from BDD Audio.